In these warming, waning days of winter, signs of spring’s approach are everywhere, but she leaves her most obvious door-knocking notices near our bogs and swamps. Henry David Thoreau wrote “His soft warble melts in the ear, as the snow is melting in the valleys around. 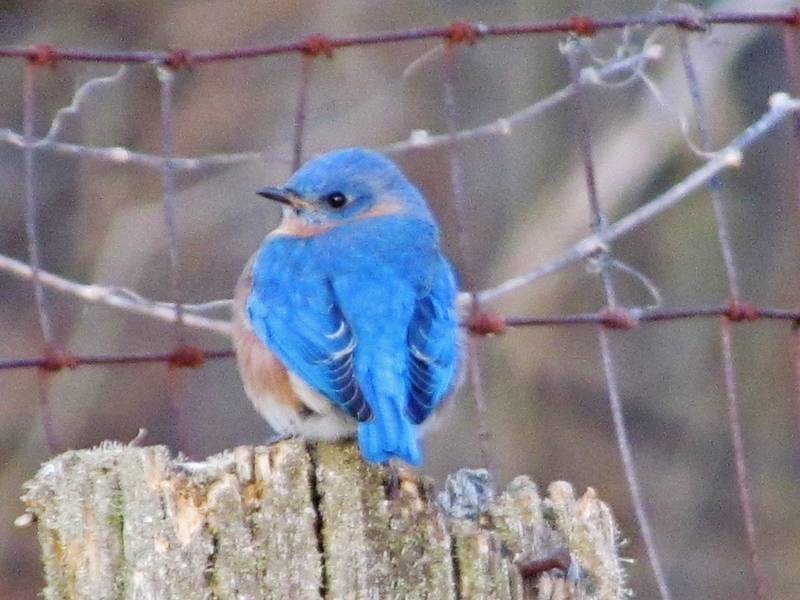 The bluebird comes and with his warble drills the ice and sets free the rivers and ponds and frozen grounds.” Those words are true today: the eastern bluebird flits above meadows of crusty snow and perches on branches and old fence posts at the edges of swamps on the wilder side of Oakland County. At this very moment, something seemingly odd and other worldly is happening in our swamps. It’s an event that always seems to occur just as the warble of bluebirds sweetens the day. As creeks babble and splash over glacially polished pebbles and ice crackles along the shores of swamps, one of our first flowering plants emerges during the final weeks of winter. Just before spring officially arrives, we can view the emergence of skunk cabbage. This strangely wonderful and oddly beautiful plant gets its name from the slightly putrid smell that comes if its leaves are crushed. It is not a coincidence that skunk cabbage seems to poke up through the ice at the edge of swamps, bogs and creeks as the plant warms its own micro-environment to 30 degrees or higher above the surrounding temperature. Skunk cabbage, a plant that always wants its roots deep in mud, is often referred to as a warm-blooded plant. That is not so far from the truth, as the snow and ice melting ability of skunk cabbage is legendary to botanists. This harbinger of spring actually creates its own heat through a process known as thermogenesis, a process that is almost exclusively in the domain of animals. At the edge of the very same skunk cabbage habitat, a keen-eyed observer of nature may spot bluebirds overwintering here as well. 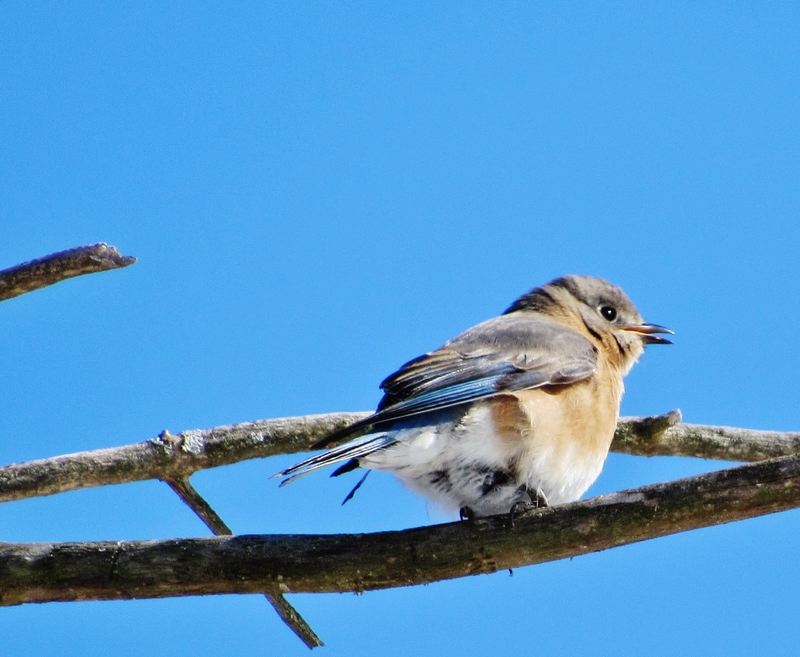 Contrary to range maps that proclaim bluebirds as migratory in Michigan, many eastern bluebirds overwinter at the edges of bogs and swamps, areas rich with tiny fruits, seeds, and their primary food source – insects. 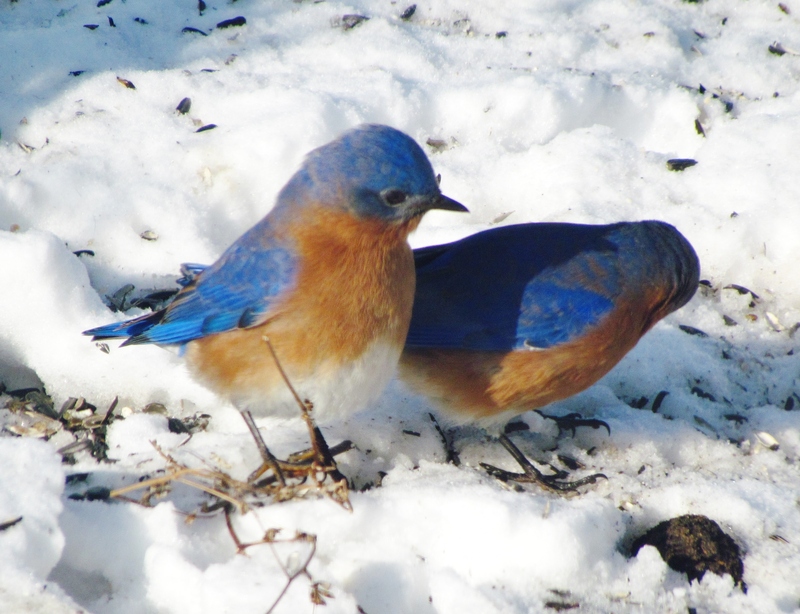 And now, as the hours of daylight lengthen and the great melting of snow continues, bluebirds seek out nesting cavities in stumps and hollow trees near meadows that embrace the swamps edge. These habitats can be found in many of the 13 Oakland County Parks. As the duel between winter and spring accelerates and softens the landscape, hikers will be rewarded by both the song of bluebirds and the sight of skunk cabbage along many Oakland County Parks’ trails. Specifically, any trail meandering near wetlands at Independence Oaks and Waterford Oaks, all the trails of Highland and Rose Oaks, The Buhl Lake Trail of Addison Oaks, and the aptly named Bluebird Trail of Orion Oaks County Park. For more information on all 13 Oakland County Parks, please visit DestinationOakland.com. 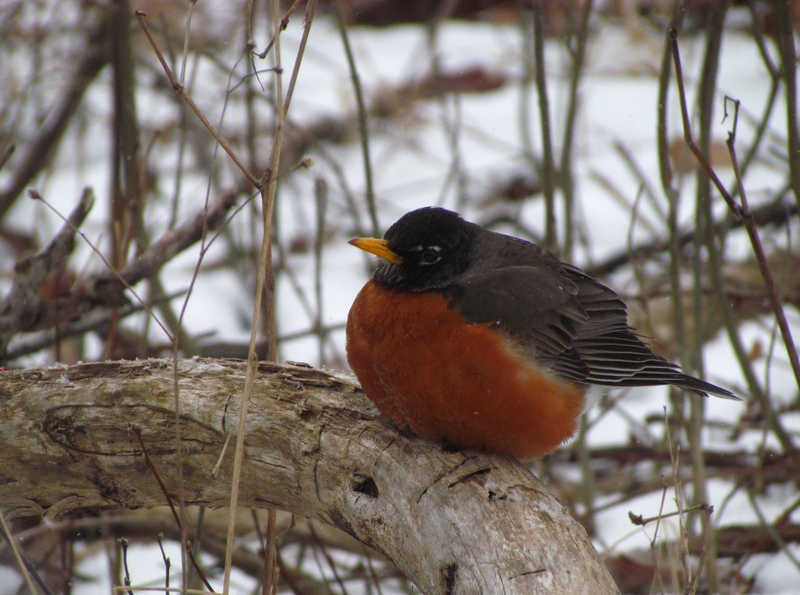 WORM-SLURPING ROBINS: FALSE PROPHETS OF SPRING! Sub-zero temperatures and the near arctic conditions of this polar vortex winter have not phased robins. However, the sightings of robins in the midst of a world of snow and ice have caused concern among humans. No need to worry! Robins do not usually migrate and the fact of the matter is clear; robins are not the first bird of spring. Oakland County is home sweet home 12 months of the year. The first bird of spring myth is perpetuated when near breathless television newscasters announce the presence of worm-slurping robins hopping about suburban lawns just as soon as snows melt and the lawn turns green. Wintering flocks of robins can be found in our parks and along the edges of golf courses and in scrublands, thickets and woodlands. Why don’t we see them more often? That’s easy. We tend to be indoors! And contrary to common belief worms are not the main diet of robins. Robins are omnivorous. Fruits and berries are their usual entrees; juicy worms are just a seasonal protein rich delicacy. 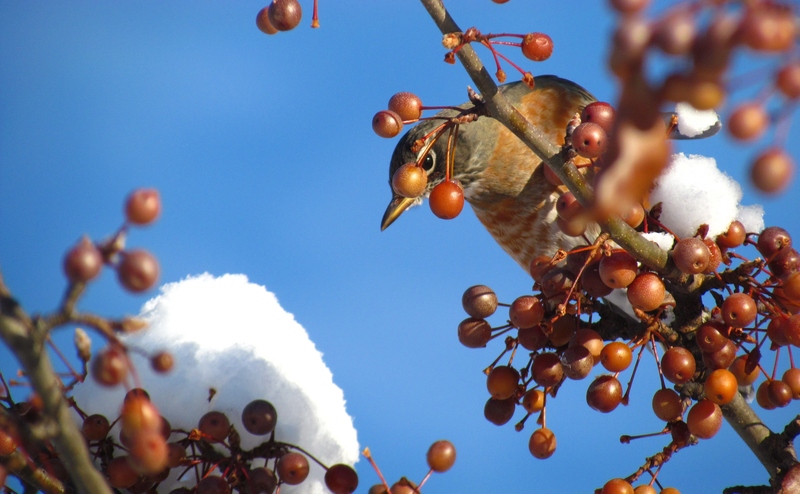 Oakland County is a farmers market of goodies for robins even during the harsh days of winter. Nature’s abundance and landscaping practices have created winter cornucopias of crabapples, hawthorns, highbush cranberries, bittersweet, poison ivy, sumac and other small ornamental fruits and berries. Cold is not an issue for robins. When the mercury plummets and winter winds-howl they hunker down among shrubs and puff up their feathers creating insulating layers of down. To create heat they shiver, a process that keeps their bodies at a cozy 104 F. But I wonder if perhaps robins are not dreaming of plump worms just as humans dream of the first warm season barbecues.